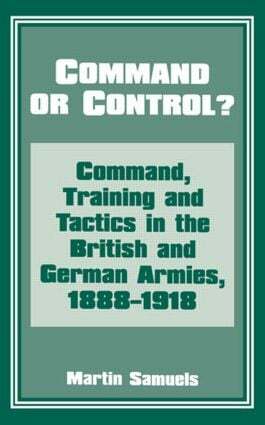 This is a comparative study of the fighting systems of the British and German armies in The Great War. Taking issue with revisionist historians, Samuels argues that German success in battle can be explained by their superior tactical philosophy. The book provides a fascinating insight into the development of infantry tactics at a seminal point in the history of warfare.